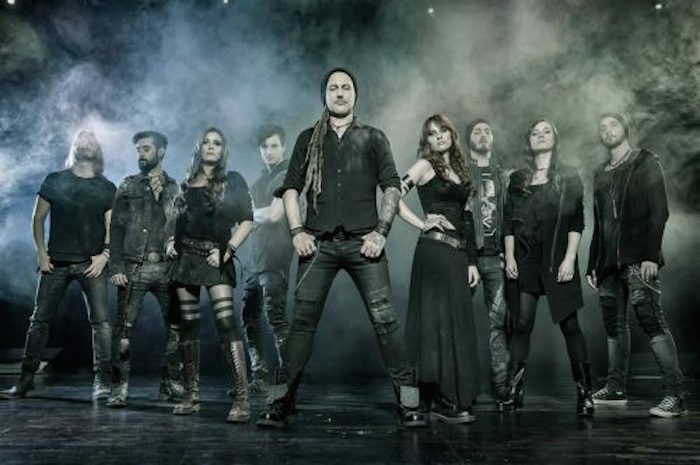 Long dead though the Celtic gods may be, Swiss folk-metal kings Eluveitie are intent on bringing them back on their latest, mostly-acoustic folk album Evocation II: Pantheon. 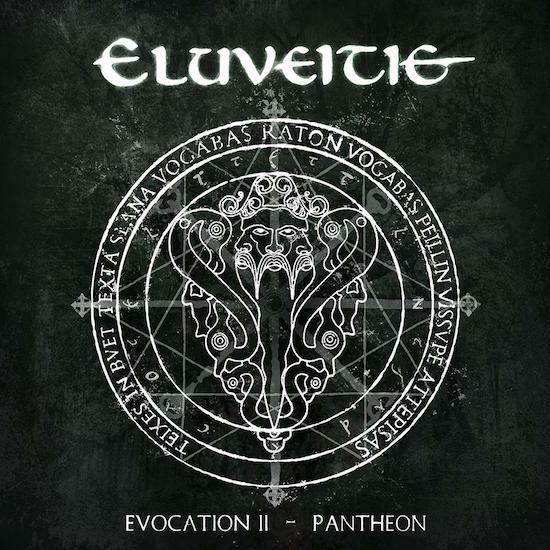 A follow-up of sorts to 2009’s Evocation I: The Arcane Dominion, its songs are each a paean to the prominent deities featured in the mythology of the Celtic world. For instance, ‘Epona’ is dedicated to the horse goddess of the same name. ‘Tovtatis’ is taken from Toutatis, a tribal deity most famously featured along with Belenos in the Asterix and Obelix comics. The most famous god listed in the pantheon depicted in this album is probably Cernunnos, the horned god, whose depiction adorns the cover for The Arcane Dominion. It may be a sequel, but Pantheon stands firmly apart from its predecessor. Where The Arcane Dominion was an atmospheric evocation of the ancient world in which the Celts and their gods lived side by side, Pantheon is a collection of disparate songs, each evoking their titular deity in some way. ‘Cernvnnos’, for example, has a haunting, mournful air to it, calling to mind the underworld over which he watches, as well the eerie forests that would have covered much of the Celtic world. ‘Grannos’ starts peacefully with strings and the sound of running water, as you would expect for the god of thermal springs and spas. Though it turns on a dime into an Irish jig, this is not an unwelcome change. The quicker, jollier jig provides a welcome change in the song’s dynamic, and provides variety in an album that suffers greatly from songs that sound very similar to each other. There are also several songs which could be cut without the album suffering in quality. ‘Ogmios’ is one – a lumbering song which exhibits unnecessary expansion on a short intermezzo from Helvetios, and does nothing to evoke the god of eloquence. The instrumental ‘Antvmnos’ is another. It borrows the famous opening motif ‘Scarborough Fair’, but this tells us nothing about the Gaulish name for the underworld from which the song takes its title. The two ‘sequels’ could also be cut – the originals on Origins and Slania respectively are both perfectly fine without sequels. The removal of these songs would allow greater variation across the album as a whole and, while the album is not much longer than its titular predecessor, their removal would make it feel less of a drag. However, perhaps the biggest talking point about Pantheon is the very public split the band suffered before its release. 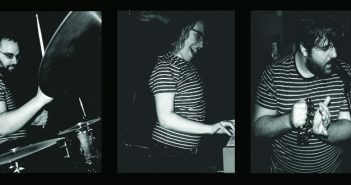 Anna Murphy, chief vocalist and hurdy-gurdy player, drummer Merlin Sutter, and guitarist Ivo Henzi all left simultaneously, though the exact reasons remain unexplained. Replacements were found in the form of Alain Ackermann on drums, Jonas Wolf on guitar, Michalina Malisz on hurdy-gurdy, and Fabienne Erni on clean vocals. The musicians acquit themselves very well, though Erni appears on occasion to be trying to evoke Murphy’s more intense style over than her own, richer voice, most notably on ‘Epona’. On ‘Esvs’, however, her singing more clearly distinct from Murphy’s, which lends the call-and-response vocals a richer air. ‘Artio’ is the best exhibition of her voice, starting delicately and intensifying as the song slowly crescendoes into a powerful evocation of the bear goddess herself. Given that the album does not contain any metal at all, the truer test of how well the new members fit in to the group will come with the next album. In the meantime, Pantheon is more for completionists like me. By no means a bad album, the problems it suffers drag it down in comparison to The Arcane Dominion, a more atmospheric album made richer by the varied songs.